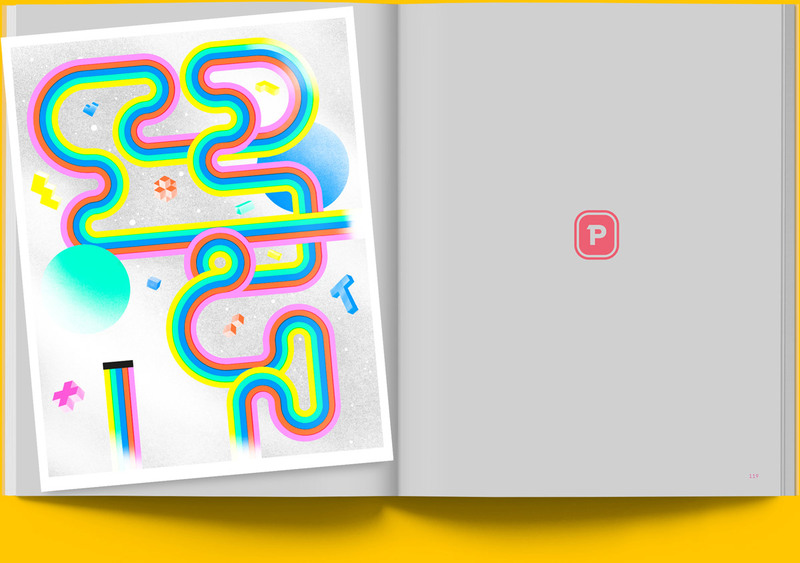 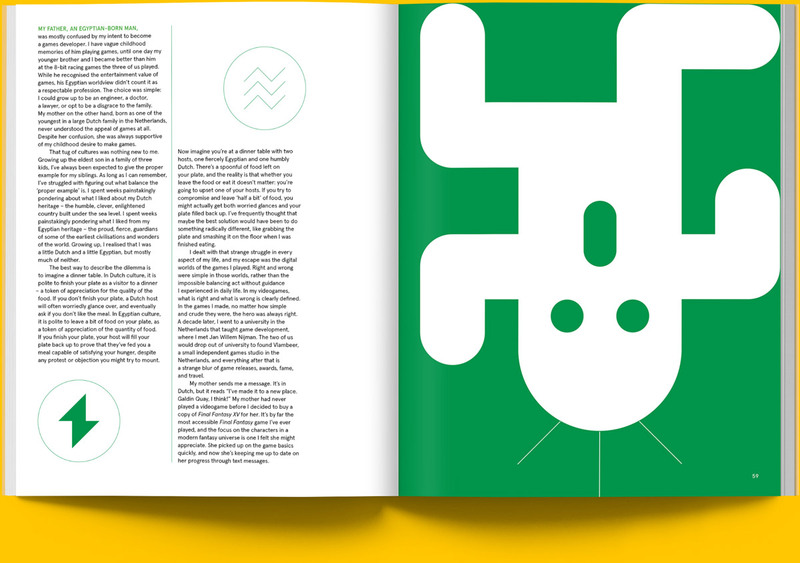 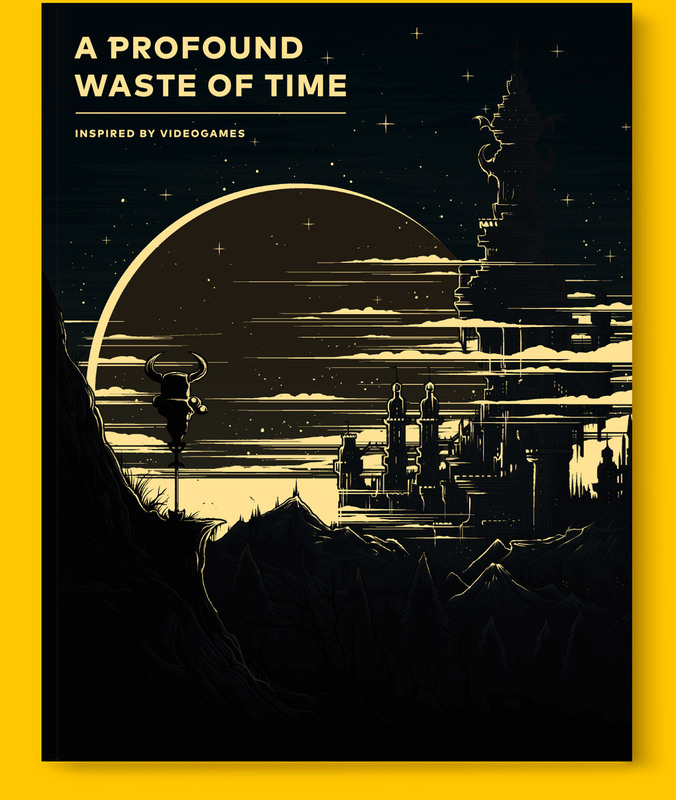 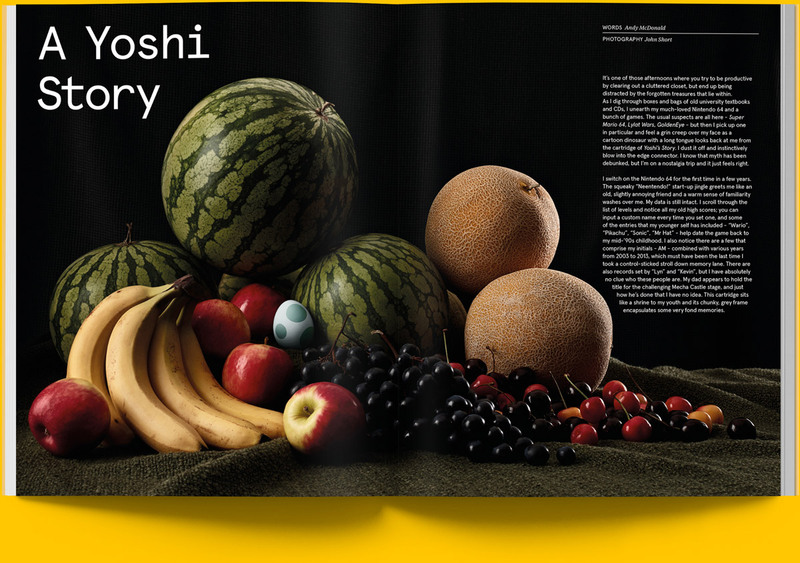 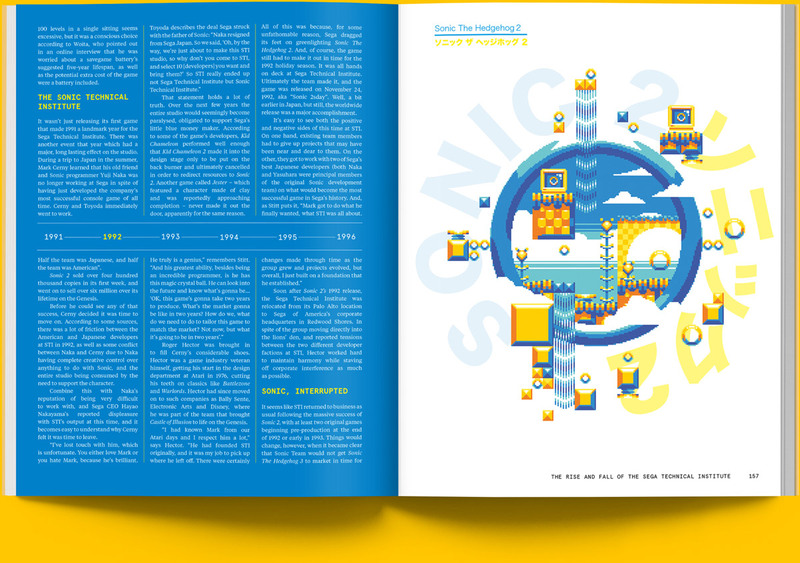 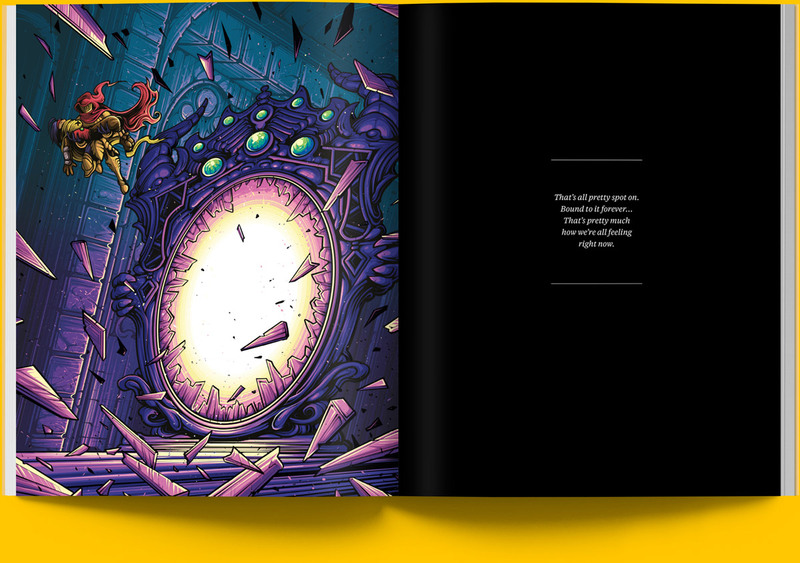 A Profound Waste of Time is a new independent magazine that celebrates games as an art form. 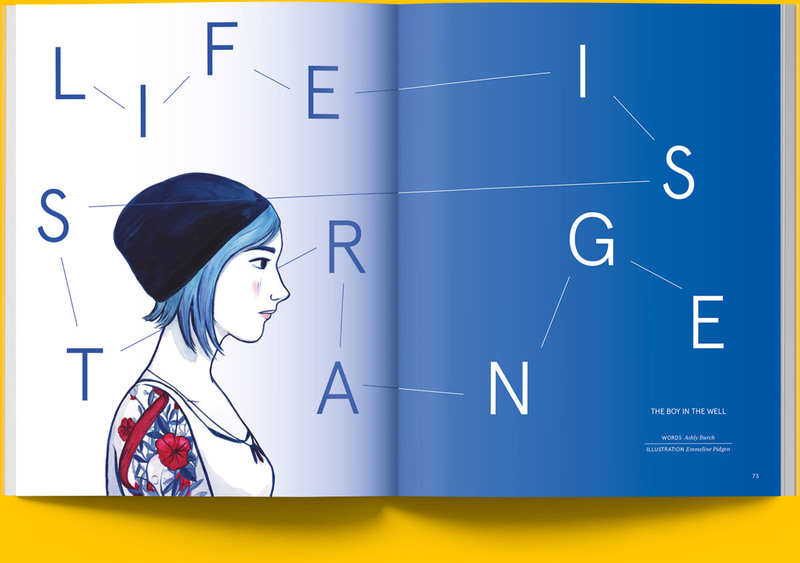 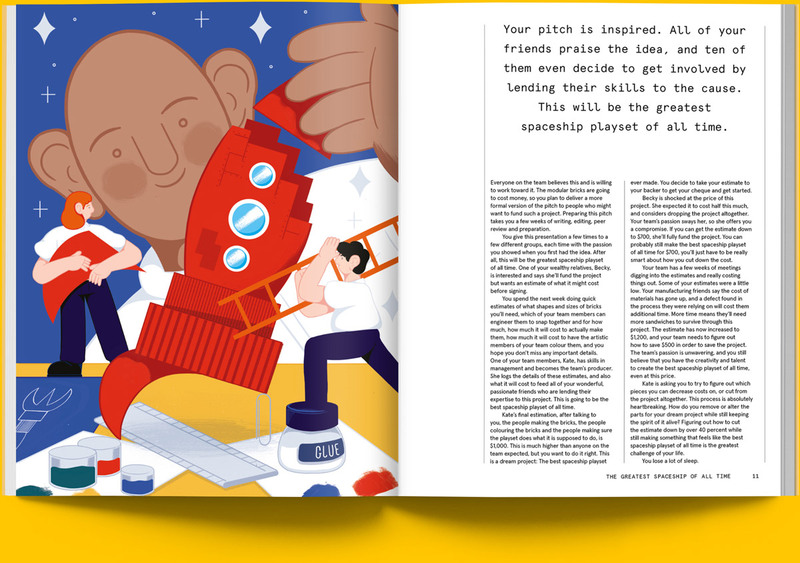 Each issue plays host to a rich variety of voices from inside and outside the videogame industry, interwoven with stunning imagery from leading illustrators and artists. 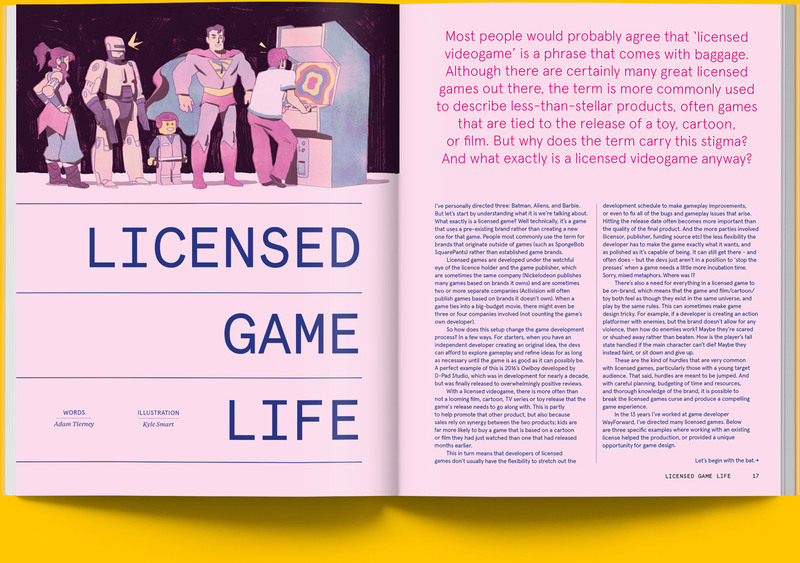 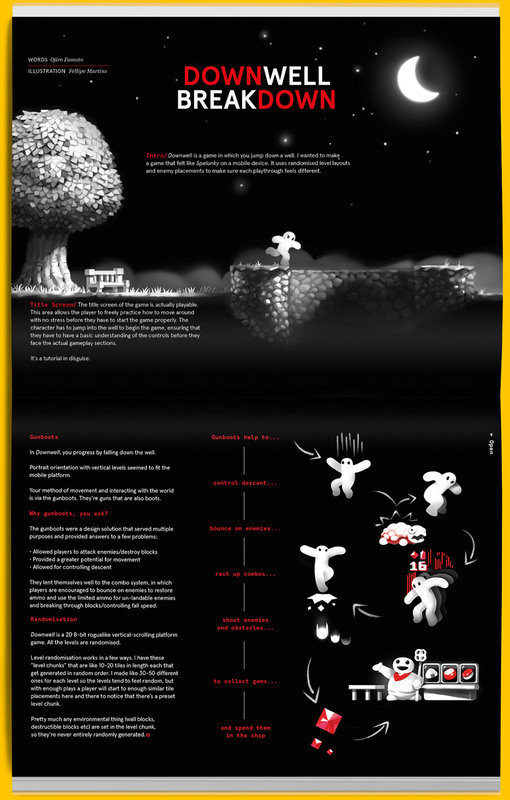 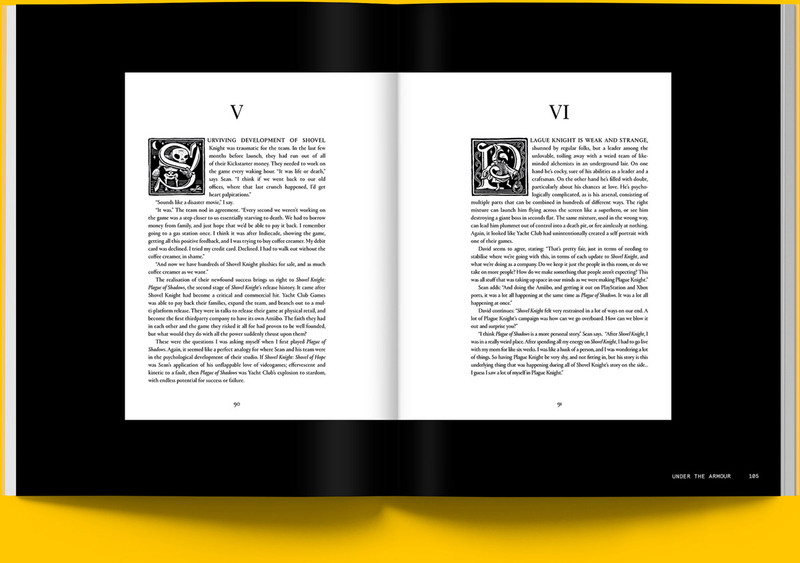 Editorially discerning and beautifully designed, the magazine serves to celebrate gaming culture and discussion. 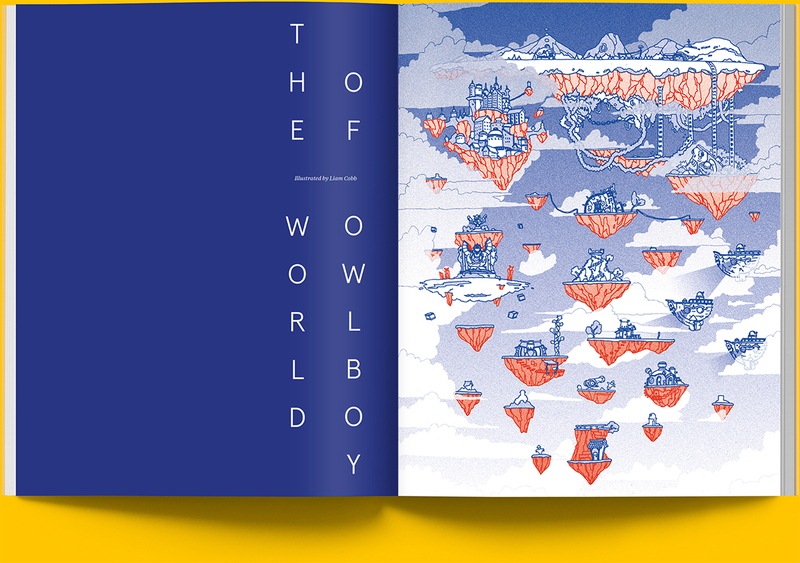 Following our successful Kickstarter campaign we can now offer orders of the magazine. 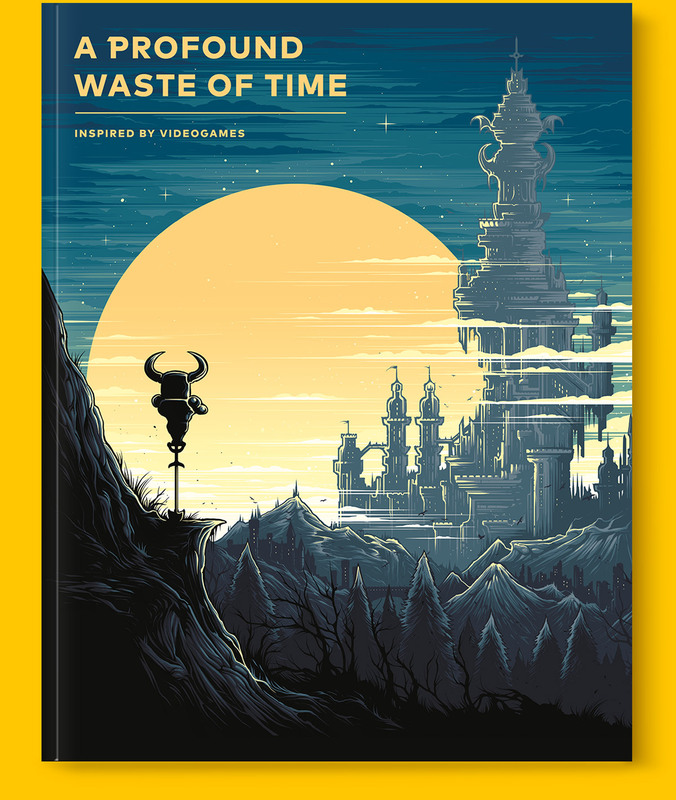 The special edition is of limited quantity and features a special glow in the dark cover, along with a pack of digital wallpapers. After watching his mother play her first videogame, Vlambeer co-founder Rami Ismail explores the idea of games as a language.